The arrest of Tory immigration spokesman Damian Green over leaks from the Home Office have been dubbed a "mayday warning" for democracy by opposition parties. The MP for Ashford was held despite a tradition of Parliamentary privilege and lack of interference by the police. In 1642 King Charles I mustered some soldiers, marched into the House of Commons and attempted to arrest five troublesome MPs. It didn't have the outcome he was after. Civil war ensued, the King was soon head-less and the supremacy of Parliament over the monarchy was cemented. 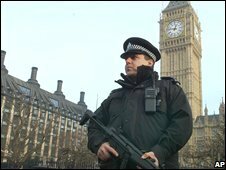 In 2008, officers from the Metropolitan Police arrested a Conservative MP and searched his Parliamentary offices, confiscating files and his mobile phone. 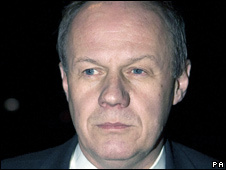 Damian Green was detained under the Police and Criminal Evidence Act as part of an investigation into the leaking of information from the Home Office. He denied any wrong-doing and was released on bail. MPs from all parties rallied round to denounce heavy-handed policing. The former Conservative leader Michael Howard said the arrest represented "contempt for parliament" and invoked the memory of 1642. Ex-Labour MP Tony Benn was just as incredulous: "I may sound strangely medieval, but once the police can interfere with Parliament, I tell you, you are into a police state." So what counts as interference? Some MPs seemed to suggest that the Speaker, Michael Martin, should have been manning the gates of Parliament, and waving off the boys in blue with the mace. The Conservative MP Douglas Carswell said the speaker's job was to preside over Parliament, "not to give the green light to police raids". Many, particularly in the Conservative party, share that anger. But it's not clear at all who does give the green light to whom. Police operations in the Palace of Westminster are very rare. The speaker's office has been reluctant to elaborate on its part in the police search. A statement simply said: "There is a process to be followed and that was followed." But what is the process? The Shadow Home Secretary Dominic Grieve has issued a long list of questions to ministers about the role played by the Commons authorities. He wants to know who authorised the search of the Commons office, on what basis, and whether it's a breach of parliamentary privilege to arrest an MP for using leaked information. Ask the police or the Home Office if the search was made with the approval of the Commons authorities, and the response is a blunt "no comment". A dig through the rules and regulations that govern the working of Parliament doesn't shed much light either. MPs have privileges that the public don't. At its most basic, it means they have complete freedom of speech in Parliament and don't have to worry about defamation. It's a freedom they guard jealously. Privilege used to give some cover from arrest as well an constitutional expert Ian Ward said: "Freedom from arrest in lawsuits was notorious for much of the 19th century". But that convention has crumbled and Parliament is no longer a sanctuary from the long arm of the law. Parliament is currently prorogued and not sitting. In the view of the legal expert Joshua Rozenberg, that may have had something to do with the timing and manner of the police search. He believes if officers tried to gain access to Parliament and search Mr Green's office when Parliament was sitting they could have run up against the so-called "sessional orders" which, among other things, are meant to ensure that MPs attendance in Parliament is not impeded - even by the police. This part of the story seems to be a murky collision between parliamentary custom and the law.